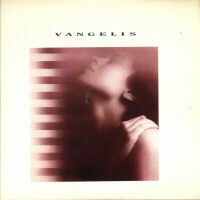 This section lists, in reverse chronological order, all the CD singles Vangelis has released, with references to non-album tracks, where available. Also listed are all the vinyl singles that included material not otherwise released (B sides). 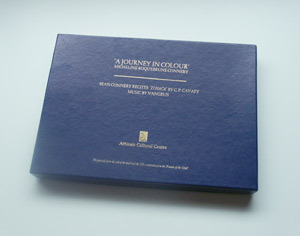 This release is not technically sold as a single, but is part of an exclusive box called "A Journey in Colour" by Micheline Roquebrune Connery. The box contains both a book (with the same title) and a 1 track CD by Sean Connery and Vangelis. The limited production was sponsored by the Ahtinais Cultural Center and all proceeds went to the "Friends of the Child" foundation. 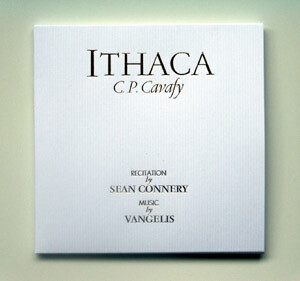 "Ithaca" is a recording of Sean Connery reciting the famous Cavafy poem, set to new music by Vangelis. The music was not released in any other way than on this single in this box. The CD is housed in a ribbed cardboard sleeve, with an extra insert. The book contains paintings by Sean Connery's wife, whose work was at the time of release being exhibited at the Athinais Cultural Center in Athens. The first release of this so far otherwise unreleased track was a Japanese 2 track CD single that went on to become a well charting hit, making it to the Japanese top 5 and selling over 150,000 copies. It contained both an orchestral version and a synthesizer version. 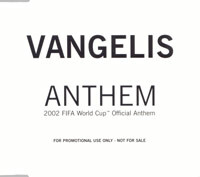 The first was also released on the World Cup album called "Fever Pitch", the second track is a synth version featuring Vangelis' first use of a dance beat, and could only be heard on the CD singles. The orchestral piece features two themes, the first a majestic opening performed by choir and orchestra, followed by a cheerful theme with extra traditional percussion, koto and some synthesizers. The synthesizer version only features the cheerful theme but has extra effects and synths, plus the afore mentioned poppy dance beat. 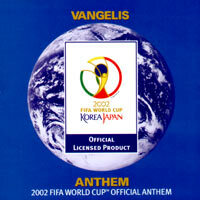 The European version of the single contained two remixes, one by JS-16 and one by Takkyu Ishino. The JS-16 mix also featured on the World Cup album. In Japan a separate single was release of the Takkyu Ishino mix featuring both the radio edit and a longer version. In Europe, a white label 12" promo maxi was pressed on vinyl in extremely low numbers, making it a very rare item to obtain. Unique to this release is the JS16 Club Mix, which extends longer (5:36) than the versions available on CD. Japan saw the release of a promo (not for sale) single together with FIFA's "Boom" by Anastacia, which has the Synthesizer version but sounds a little bit different since less instruments were added in the mix. The European promo CD single (simple white cover with text) had nothing special, just another order of the same tracks. Finally of interest is the fact that two different promo CDs exist, containing jingle edits and snippets of both boom and Anthem. There's no new music in them, but they are edited differently, and very short, for easy use on TV or radio. The official Anthem jingle lasts 0:40 seconds. Anthem Animation snippets were provided in edits of 0:60, 0:45, 0:20 and 0:15, and additional snippets were edited to last 0:03 (orchestral Stab), 0:35 and 0:25. The other version of the disc includes some more tracks, including shorter versions of the Synthesizer and orchestral version of the Anthem. 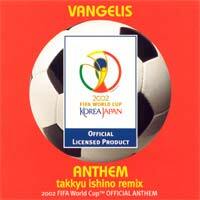 The Anthem was a big hit in Japan, where it raided the sales charts for many weeks, both in Vangelis' version and the Takkyu Ishino remix. Eventually Sony started selling sheet music booklets for this track as well. The Mythodea album was eventually promoted with a single. It never properly reached the shops but some copies were successfully ordered from selected dealers in Holland and Germany. They were probably mostly used for promotional purposes but have no "promo" indications such as stamps or "not for sale" notices. The "Special Edit" is the same track that can be found as extra twelfth track on the German and Dutch album releases. It consists of combined pieces from the album's tracks 10 and 11 (or 2). There are two versions of the single. The confusion in the album's track titles comes into play here as well. Problem is that the German/Dutch version of the CD has a wrong track title indication, by naming the "Introduction" track as being Movement one, while counting up all the way to Movement eleven. Correct names for this album start with "Introduction" and then list upwards from Movement One to Movement Ten. Knowing this, the single labeled CD089812 1 lists a track named "Movement 2" as second track, but this is named German/Dutch style. It is the track that should be called "Movement 2": the album's second track. The same theme that is also a part of the "Special Edit". The other version of the single (SSK 089852 1) contains "Movement 7", correctly titled as it is track 8, according to the international album release. This version of the single seems to be the rarer of the two. 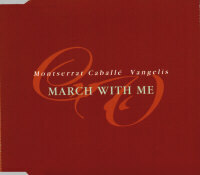 The 3-track: this single by Montserrat Caballe and Vangelis contains both Vangelis tracks from the "Friends for Life" album by Caballe, and a non-Vangelis track by Caballe and Gino Vanelli. 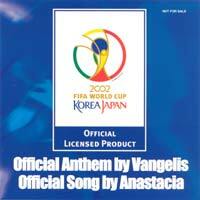 It was issued as official tune for the world championship athletics in Athens. The CD-single release for Oceanic has been released in very few countries. Because of its poor distribution this has been a very rare release almost since it was produced. The full length version allows listening to the first sounds and notes without the end of Memories of Blue fading over it, making it stand better on its own as a separate track. Note that in addition to the CD single, the track was released as a 12" picture disc, in a limited edition only. A very rare collector's item. It's hard to decide whether this is a single (maxi) or album. It has a standard jewel box (usually used for album releases), but only contains three versions of the same track. 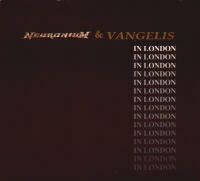 All three are remixes of "In London" by "Neuronium and Vangelis". "A Separate Affair" was released in 1996, 4 years after the release of the original single release and more than 14 years after the recording of the original improvisation (part of the Spanish TV show "Musical Express"). A remastered version of "A Separate Affair" was released in 2002 with new artwork, and re-titled "In London Platinum Edition". 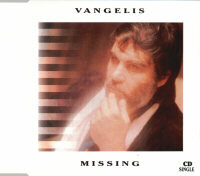 The booklet contains an unseen picture of Vangelis but nothing else of interest. "A Separate Affair" released on the Tuxedo label (at the time Neuronium's label), number TUXCD-5030. 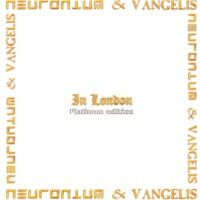 "In London - Platinum Edition" released on Neuronium Records, number NRCD 003 (CS). 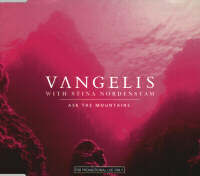 This CD single by "Vangelis with Stina Nordenstam" contains the "Ask The Mountains" track from the Voices album in a shorter "single version" (5:51) edit and a previously unreleased track called "Slow Piece" (4:50), also by Vangelis (music) and Nordenstam (lyrics and vocals). The 3 track version is packaged in an album-jewelbox and contains an additional "extended version" (8:10) of "Ask the Mountains" which is slightly longer than the album version. Included in the booklet are the lyrics of the title song. This single was released to promote the "Portraits" compilation album. The 4 track version contains its title track "Sauvage Et Beau" (3:18) as well as a shorter edit of Himalaya (6:53) and the normal versions of "La Petite Fille De La Mer" and "I'll Find My Way Home", all of which can be found on the Portraits compilation album. The title track was the endtitle to Frederic Rossif's nature film with the same title. 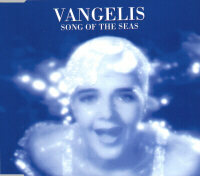 It was the last Rossif film to be scored by Vangelis. Sadly there was never a full soundtrack album, as the film contained various other interesting themes and soundscapes. This single contains a shorter edit of the "Voices" (5:09), which skips some repeats and does without the break beat appearance near the end of the album version. Other tracks are a separated "echoes" (Voices album) re-titled to "Voice II (Echoes)" (8:37) and for the 3 track version of the single also the album track "P.S." re-titled to "Voices III" (2:07). A promo version exist containing an even shorter "radio edit" and the usual single edit. It sold well in certain European charts, especially in Germany where it got linked to Boxer Henry Maske again, who had also ignited the public rediscovery of Conquest of Paradise, about a year earlier. Maske also featured in a special video clip aimed at the German market. Another video clip featuring more anonymous sporters featured in other countries. 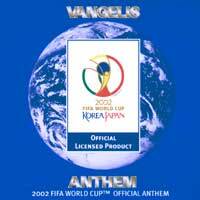 The single was used as TV theme for certain sports events in Germany and other countries. 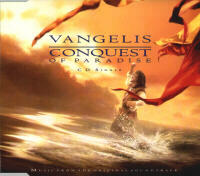 This one-track CD single was released in some European countries while the Conquest of Paradise single was still in the charts, probably in an attempt to be carried by Conquest of Paradise's momentum. It did however not manage to reach the charts, nor was it played on radio. It contains the shorter edit that was already released on the compilation album "Themes". 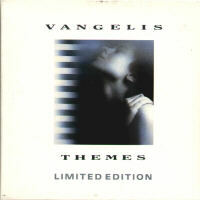 A rare Spanish promo featuring 3 tracks from the "Best Of Vangelis" compilation album, the Spanish edition of Themes. 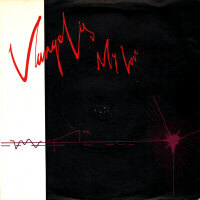 The track "In London" (8:53) was recorded as an improvisation in 1981 in Vangelis' Nemo studios situated in London. 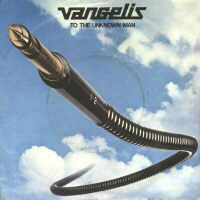 Vangelis and two members of Neuronium played it in front of the camera's for "Musical Express", a Spanish television show dedicated to electronic music. 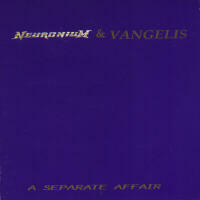 Neuronium frontman Huygen polished it in 1992 and subsequently released it on CD single. The two track version also contains a shorter radio edit of the recording and is packaged in an unusual paper/plastic box. 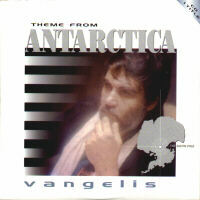 Both versions were shipped with a picture of Vangelis and Huygen inside Nemo studios. A rare single release of the track from the "1492" album. It contains "West Across the Ocean See" as extra track. 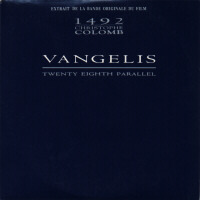 The French version is packaged in a cardboard sleeve, while the UK version is placed in a "christal" box as CDmaxi singles usually are, despite featuring only 2 tracks. A promo version was released in the UK, on which the title track is featured as a shorter edit. This version starts with a fade-in at the first appearance of the Conquest of Paradise theme, and fades out a number of bars later than the normal edit, prolonging the final loop during fade out. The Crystal box looks identical to the regular UK version. Single release of the closing titles of Ridley Scott's film "1492, conquest of Paradise". The track lasts 4:47 and does not fade over to another track like it does on the album. It also contains the track "Moxica and the Horse" (7:12) from the same soundtrack album and (on the 4track edition only) two otherwise unreleased tracks called "Line Open" (4:43) and "Landscape" (1:37). Both have nothing to do with the film. The Dutch 2track edition has the same cover as the CDmaxi, but comes in a cardboard sleeve instead. There's also a French cardboard sleeve version but it has all the 4 tracks and the cover relates to the French album cover. The single and later the album gained big commercial success in Europe after it was used as victory tune by German boxing champion Henry Maske. 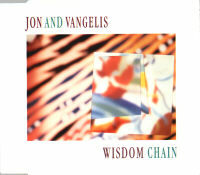 A CD single release from the "Jon & Vangelis" album "Page of Life". It contains a new edit of the title track, the track "Page of Life" and a previously unreleased track called "Sing With Your Eyes" (5:16). 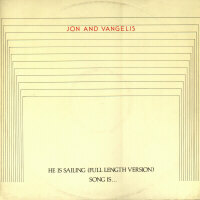 It was only briefly for sale and because it contains an otherwise unreleased track with Jon Anders this became a much wanted item for both Anderson and Vangelis fans. The "Sing With Your Eyes" track is an impressive ballad starting with slow piano music and soft singing, building into an orchestral sounding climax before returning again to the soft romances of the start. This CD single was released together with the "Greatest Hits" (1CD) album in the Netherlands, to coincide with the "Eureka" concert in Rotterdam. It contains "Spiral" (6:55) and "Theme From The TV-Series 'COSMOS' (Heaven And Hell, 3rd Movement)" (4:03). A very rare promo released in the USA for "The City" album. The title track appears in a shorter edit and the full LP version. It's packed in a regular album jewel box, and the back of the cover contains some linear notes. 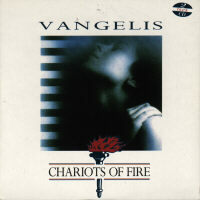 A CD single from the "Themes" compilation album containing "Chariots of Fire" (3:31), "Lovetheme From Blade Runner" (4:55) and "Hymne" (2:45). All tracks can be found on the Themes compilation album. The Blade Runner track was until then previously unreleased but appeared on the official Blade Runner soundtrack album in 1994. There was also a 2 track edition. Both were released only in the Netherlands. Released in the Netherlands to promote the "Themes" compilation album with "Eric's Theme" as additional track. It was not included on the Themes album, but appeared later on the French release "Themes II" (not to be confused with the "Themes 2" bootleg with the same title from the USA). Noteworthy is the fact that it is a 3" CD in a 5" case. This is CD single that was released for "Direct". It contains the title track, which - like on the album - converges into "Metallic Rain". Finally "Intergalactic Radio Station" is included. This track could not be found on the LP edition of "Direct", but was present on the CD version. Therefore there is no previously unreleased material on it, compared to the CD version of the album. All tracks are of the same length as the album versions. 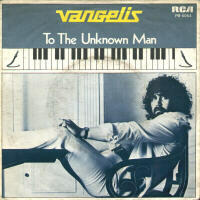 One of the more fascinating Vangelis collectibles eluded most fans' attention for years, for a number of reasons, including its limited production run, the confines of the Italian art circles where it was released, perhaps best summarized as the fact that it existed totally outside of the scope of the record industry. Silent Portraits is a luxurious high quality book of Photographs by established Italian photographer Gian Paolo Barbieri. It was produced and sold in a limited run of 600 copies. The large sized book is housed in a beautiful exclusive box, and accompanied by a 12" record with two long Vangelis tracks, one on each side. For this reason, the record could perhaps best be categorized as a maxi single, which is why it is listed here. 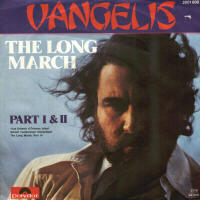 But considering the set as it is sold, it's like nothing else Vangelis has been involved in. Barbieri set out to photograph the inhabitants of the Seychelles	islands, in their natural environment, resulting in a series of stunning black and white depictions. Frederic Rossif wrote the introduction, and Vangelis	composed the music to go along with these otherwise silent portraits. Side A (9:22) contains a calm, melancholic gentle piece played mostly on the electric piano with some synthesizer accompaniment. Side B (11:02) features a repetitive electronic piece with percussion (both tonal and rhythmic), perhaps somewhere between the style of Soil Festivities or Mask. The prices, on the rare occasion that this appears on the market, usually befits its rarity and the connections with both esteemed artists. This may very well be the most expensive collector's item out there. This 12" has the track "Song is" as bonus, which can otherwise only be found on the "And When The Night Comes" 7" release, the "Deborah" 7" release and the "Polonaise" 7" release. This single contains a 6 minutes non album track called "Song is" on the B side, with Jon Anderson's vocals but also instrumental parts. One version unfortunately has a very badly pressed B-side, where the long track is compacted to a small portion of the surface and therefore sounds very soft and noisy. This track can also be found (in slightly better sound quality than both 7"s) on the 12" of "He is Sailing", as well as the "Polonaise" and "Deborah" 7" releases. 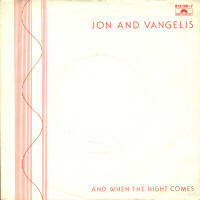 Note that the primary track "And When The Night Comes" was also released in an edited version on a radio promo release marked as JVDJ3 instead of the usual JV3. There are additional vocals, the sound mix is quite different, there are completely different drums, etc. A single with two "See You Later" cutouts. The other track is called "Domestic Logic One". Both fit perfectly in the concept of the "See You Later" album. The first has silly sung vocals while the second has processed voice-overs. The single proclaimed "taken from the forthcoming new album". It doesn't mention that it's called "See You Later" which could mean that the album was initially titled "My Love" instead. This obviously had to change when the title song was omitted from the track list. 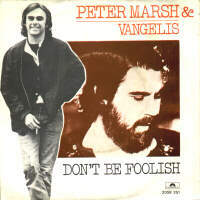 This single credited to "Peter Marsh and Vangelis" contains 2 songs. The second one is called "Doesn't matter". 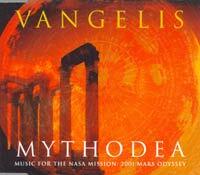 Marsh wrote the texts and sang the vocals while Vangelis wrote and performed the music and performed. 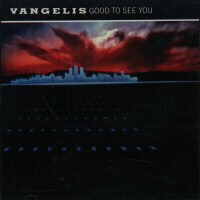 Vangelis' sound is easily recognized, but the music is a bit of a surprise. With simple and blunt arrangements these are two pop ballads for those who fancy their style. 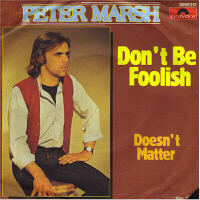 The German version of this single is only filed under "Peter Marsh". The B-side of this single is gifted with "The Long March Part 2" which is basically the same track except that the melody is now sung by children. The children from the "Orleans infant school" in Twickenham wrote their own lyrics and certainly give this a special feel. 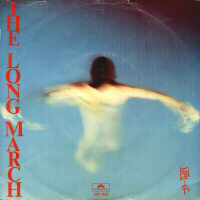 Note that the track which was originally called "The Long March" on the LP and singles is called "Chung Kuo" on CD releases, while Chung Kuo used to refer only to the opening sound effects. Most editions of this single have an otherwise unreleased track called "To The Unknown Man Part II". This track was cut from the Spiral album, probably because of its bad recording quality. All copies sound like they have been damaged. It is said however that copies exist with instead of the new track the last part of "To The Unknown Man" which fades away on all the A sides. 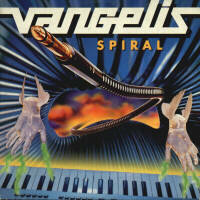 This is Vangelis' very first solo release. A single with two instrumental tracks, with a genuine sixties sound. There is no indication to what is the A or B side. Both tracks were written by George Romanos. 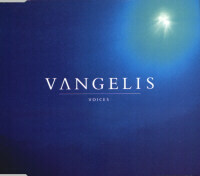 He sang them on his album "In Concert and in the studio", where Vangelis performed the instruments. 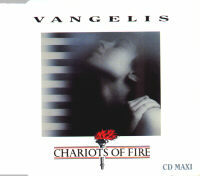 Vangelis released the same recordings without Romanos' singing as instrumental tracks on a 7" single. Some of those were pressed on multicolored vinyl, like the one you can see here. Fais Que Ton Reve Soit Plus Long Que La Nuit 7"
Friends Of Mr. Cairo 7"/12"
I Hear You Now 7"
I'll Find My Way Home 7"/12"
Not A Bit - All Of It 7"
So Long Ago So Clear 7"
Song of the Seas (picture disc!) 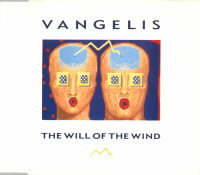 12"
The Will Of The Wind 7"
This 12" picture disc of "Song of the Seas" is the only picture disc ever released by Vangelis. It was limited to 500 copies, but very few of these have surfaced on the collector's markets, making it a very rare item. Picture discs are vinyl LPs or vinyl maxi singles with a picture printed all over the surface. They are generally made for and sold to collectors, although the rarity of this disc suggests it may have been produced mainly for promotional and internal use.